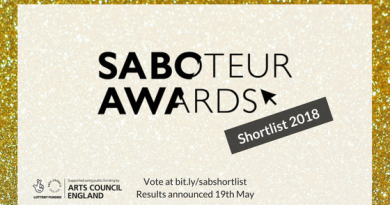 Voting continues a pace in this year’s Saboteur Awards! 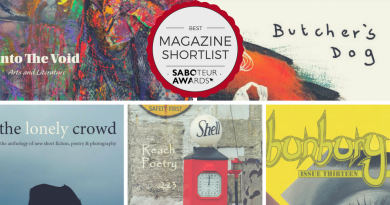 Below you’ll find out a little more about the shortlisted magazine – why not take out a subscription? 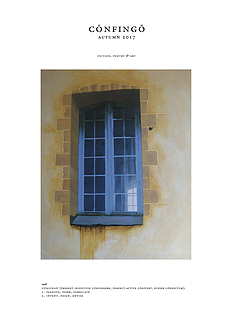 Confingo is a biannual literary and arts magazine. 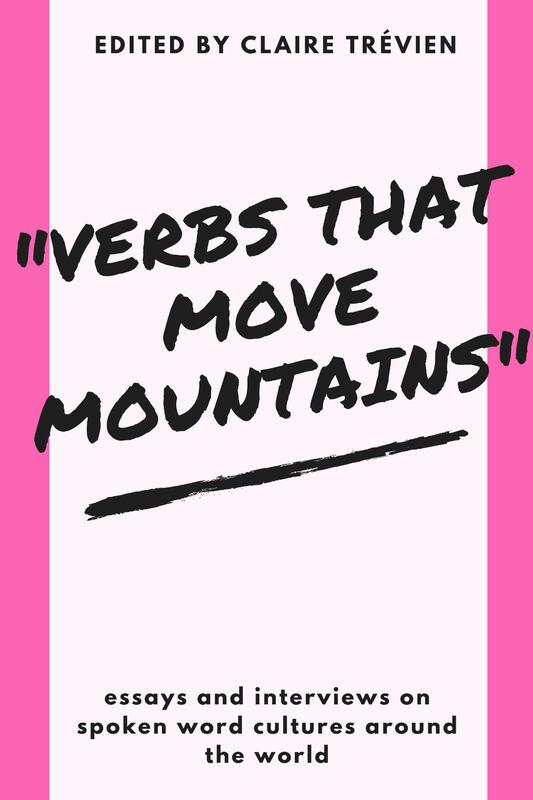 It has been published for four years. It is edited by Tim Shearer and designed by Zie McLean. Confingo is a beautifully presented collection of art and literature with some exciting new voices. A feast for the eyes and the soul! 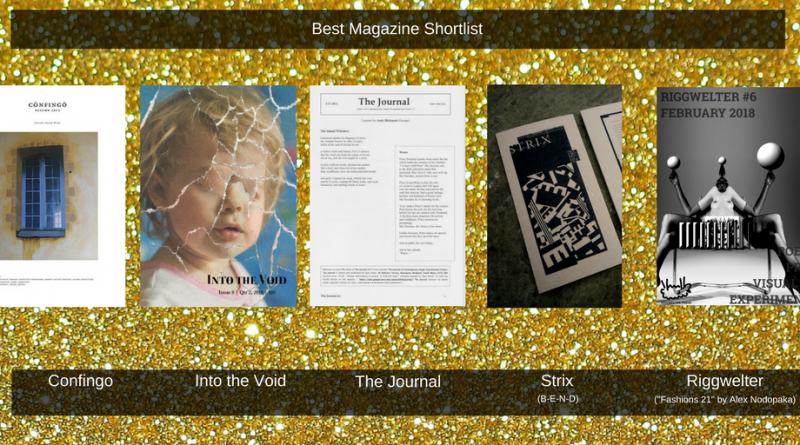 Into the Void is an award-winning print, digital and online literary magazine dedicated to providing a platform for fantastic fiction, nonfiction, poetry, and visual art from all over the world, as well as book and film reviews and articles on all things art and literature. A beautiful mix of words in all forms and images. Outstanding magazine. Fresh, original and diverse. A pleasure to read. 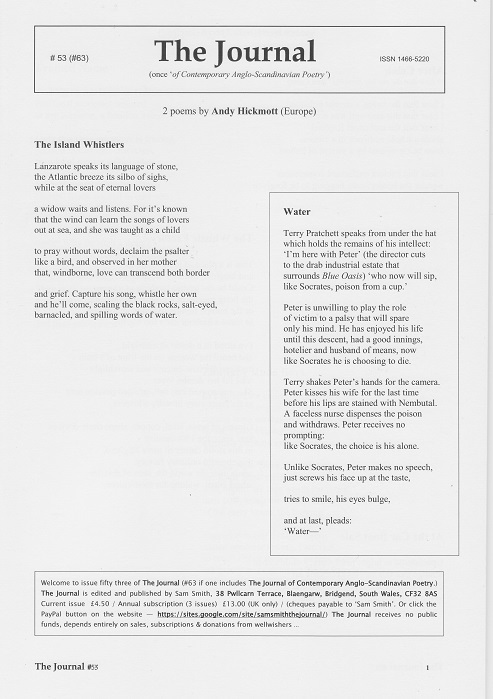 The Journal began in the mid 1990s as The Journal of Contemporay Anglo-Scandinavian Poetry, but after 10 issues ran out of Scandanavians and has since been in its present format – 40 pages of poetry and reviews in stylish – if I say so myself – A4. 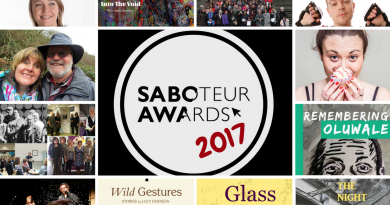 A longstanding magazine with consistently interesting content and reviews of notable integrity – one of the magazines which also promotes translation work. Riggwelter is a journal of creative arts founded by Amy Kinsman in 2017. 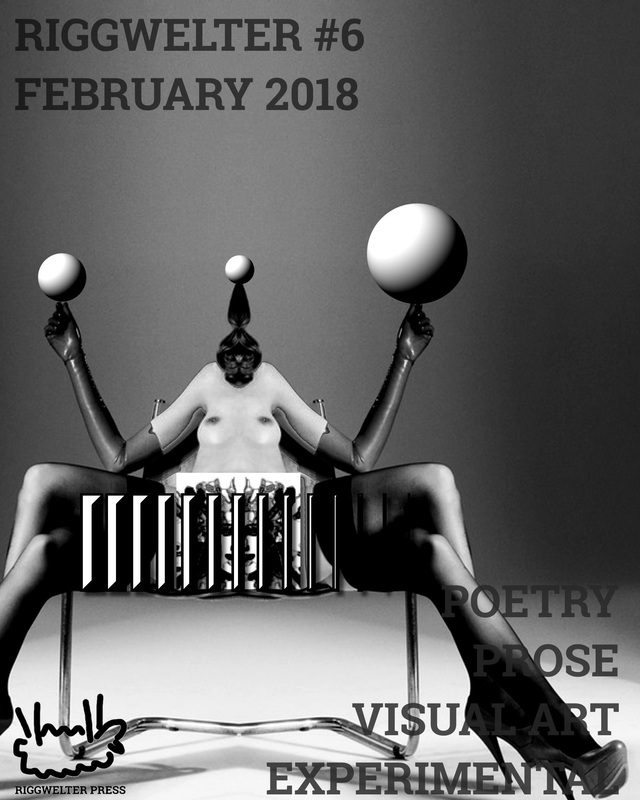 It releases an issue once a month containing poetry, short fiction, visual art and experimental/mixed media. Riggwelter also publishes essays and reviews on an as and when basis. (For clarity’s sake: we are not affiliated with Black Sheep brewery or the lovely ale that they produce that shares our name). A new magazine known for the quality of work and the wonderful speed of replies. New. Fresh. Energy-driven. Already showcasing a wide range in a wide range of genres. Great reading. 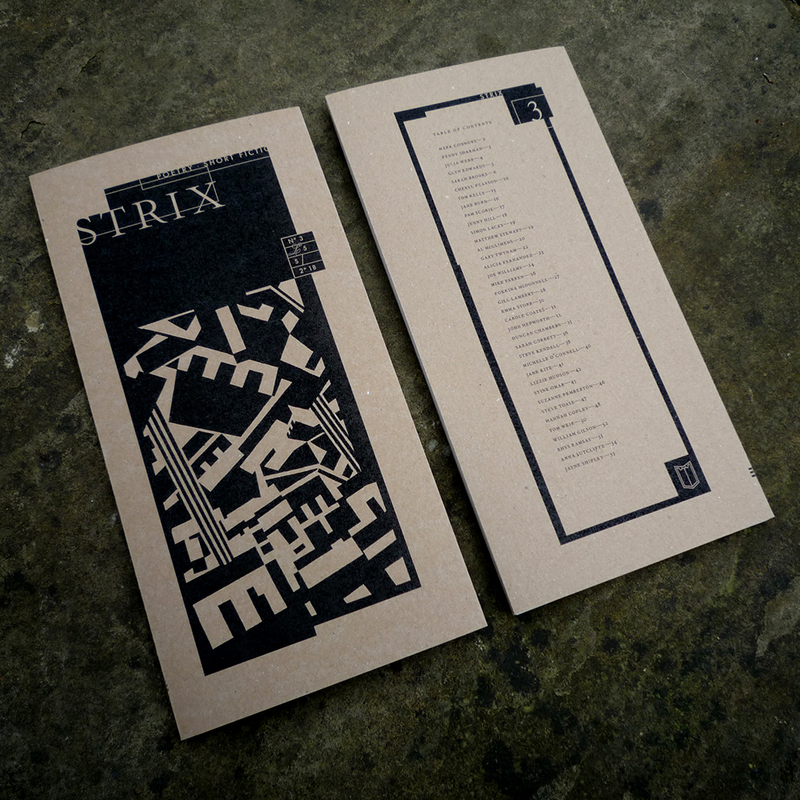 Strix is a poetry and short fiction magazine that comes out three times a year. It’s currently hand produced, and has featured established writers alongside people seeing their work in print for the first time. Carol Rumens featured a poem from issue 1 on the Guardian Poem of the Week blog, and she called Strix “handsome, streamlined and sharp-eyed…”. Submissions for issue 4 will be open throughout May. 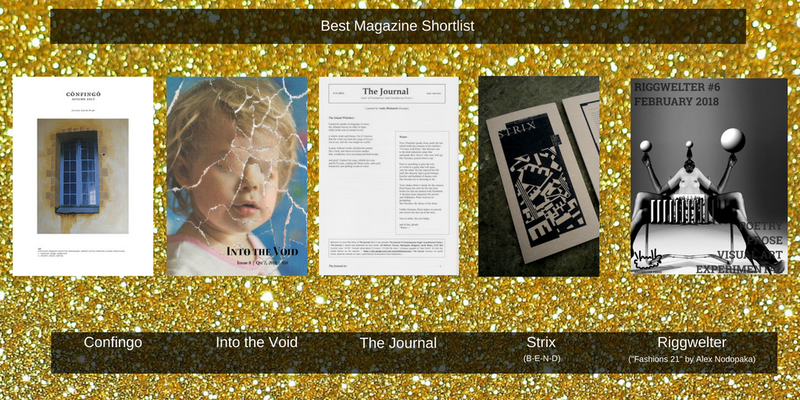 In starting a print magazine at a time when many magazines are going digital, and making a huge success of it, Strix have done something bold and important. 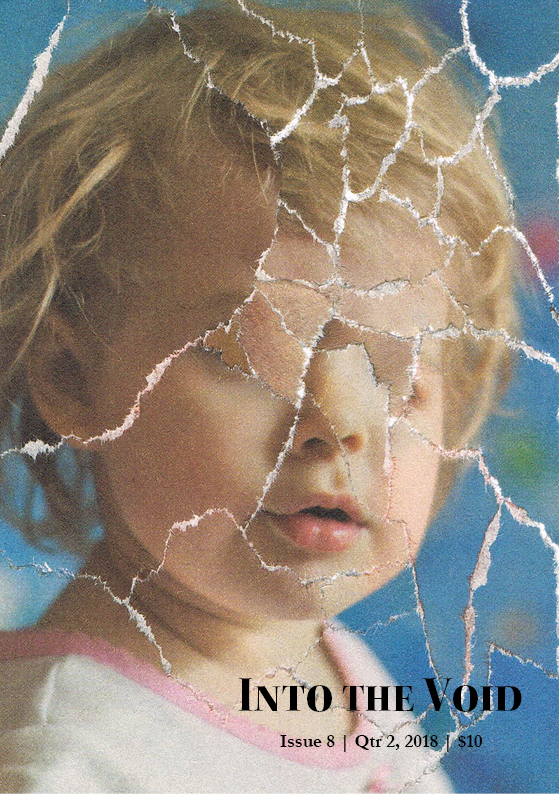 An exquisite handmade magazine carrying exciting new voices in poetry and fiction. Very stylish but incredibly readable – renaissance fonts!!! And they’re not supported – it’s true do-it-yourself. Very impressive, very beautiful.